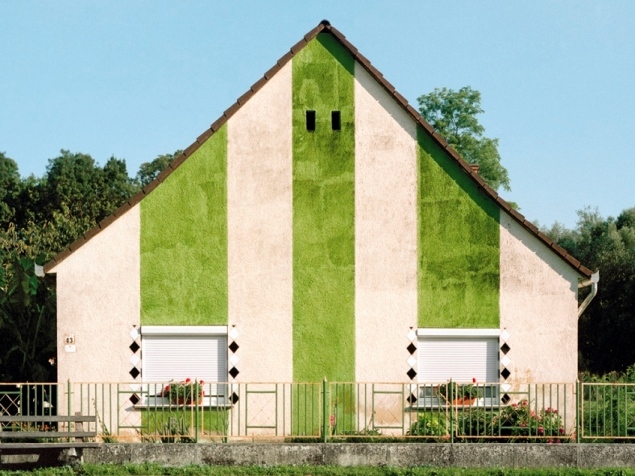 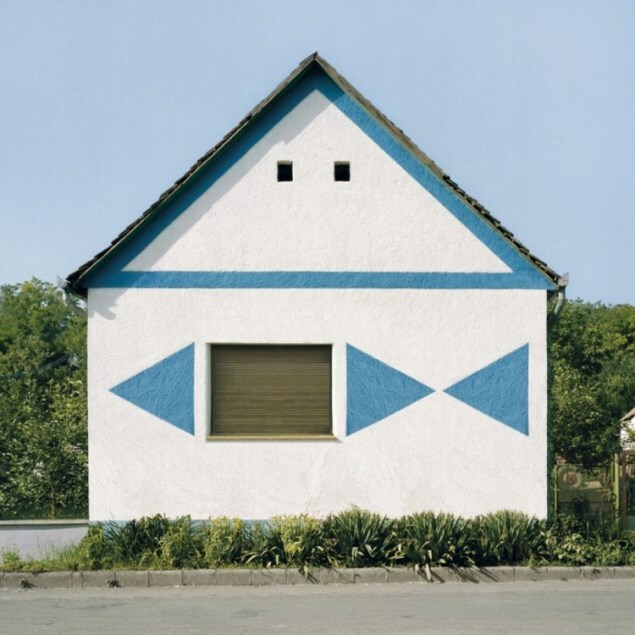 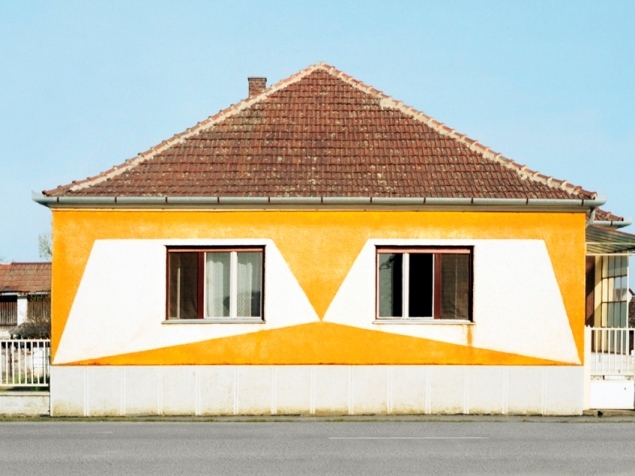 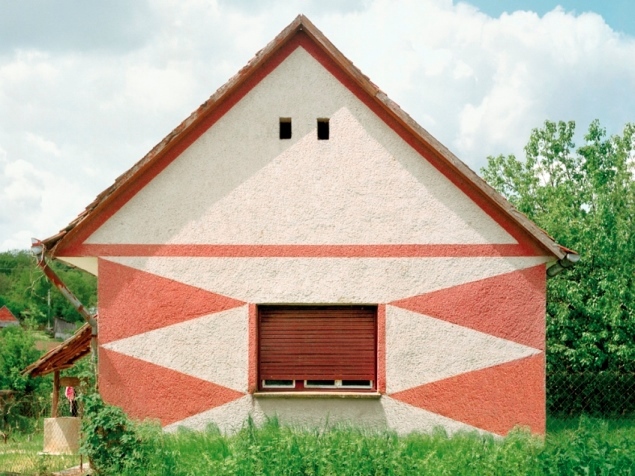 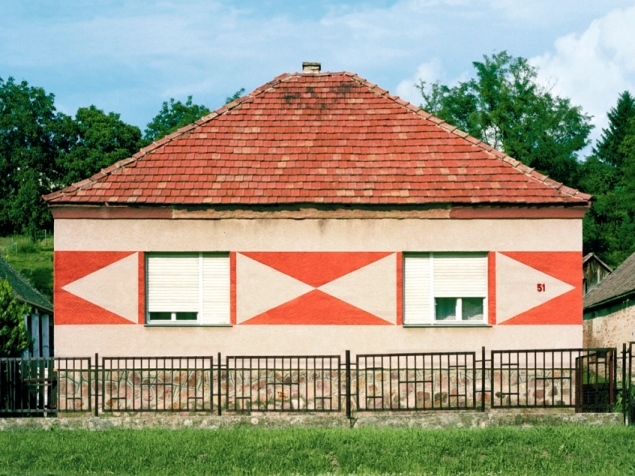 Hungarian Cubes by Katharina Roters, a German-Hungarian photographer, is a visual study of facades and ornamentation of single-family housing from the Communist era that can still be found in the Hungarian countryside. 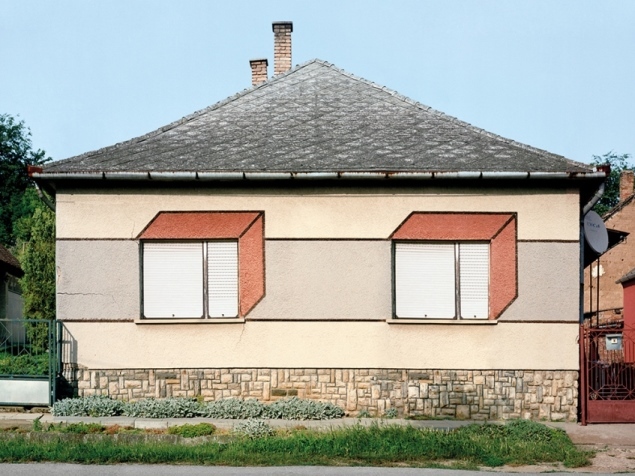 Named after the Hungarian Communist leader Josef Kadar, the Kadar Cube epitomizes the principle of the Communist urban planning – standardized, economical housing designed for efficiency. 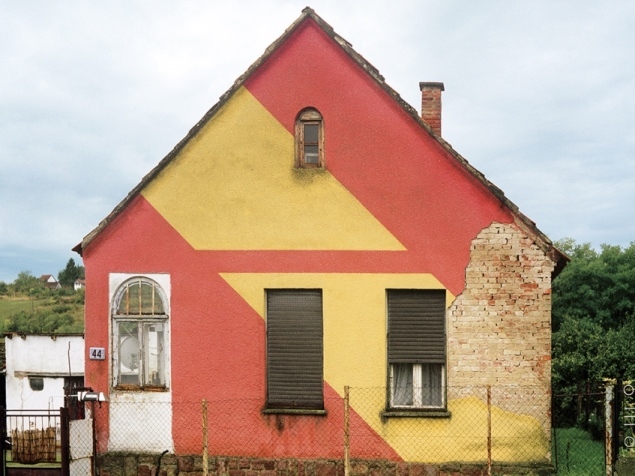 What makes the Hungarian Cube so different from any other Eastern-European Communist townhouse is the facade. 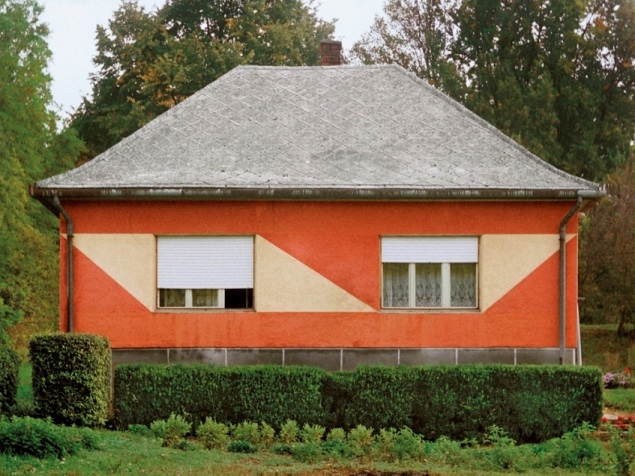 Covered with colourful paintwork, geometrical patterns, trompe l’oeil, or even references to Constructivism (e.g. 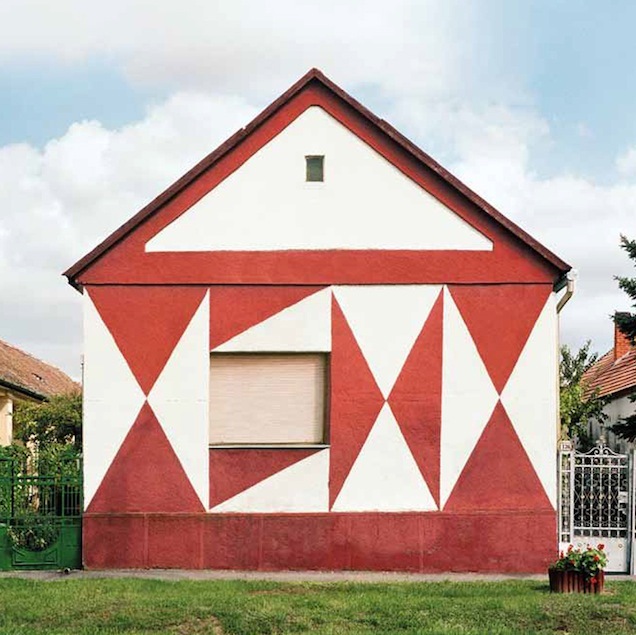 Rodchenko or El Lisskitzky), Hungarian Cubes are transformed into some sort of ‘absurd beauty’. 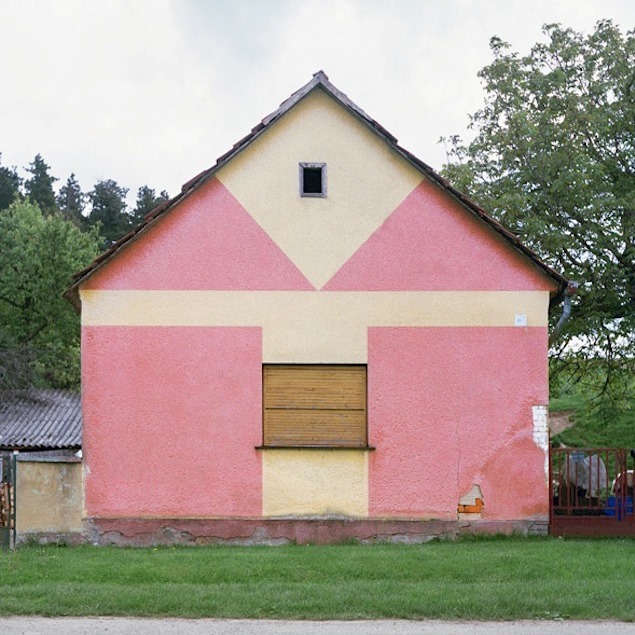 It’s interesting how the scientific, typological approach applied by Roters mimics the German school of photography, and especially the work of Bernd and Hilla Becher. 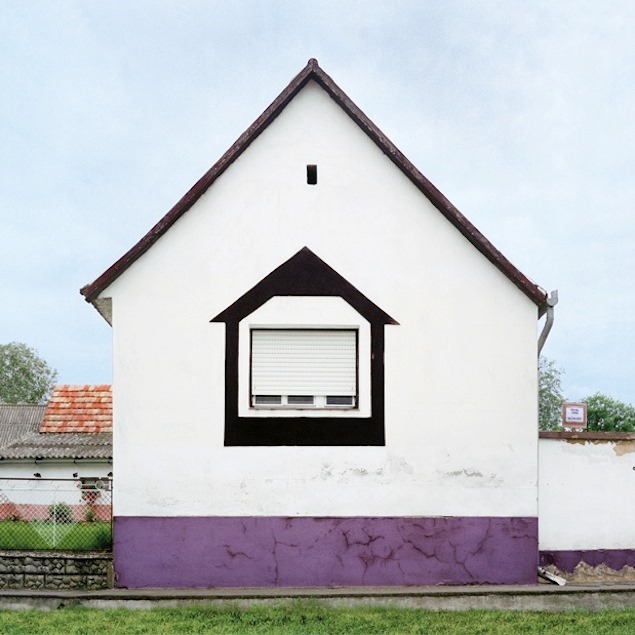 The only paradox is the fact that the photographer admits to have manipulated the images digitally in order to ‘eliminate all superfluous elements – power cables, tree branches, satellite dishes, etc.’. 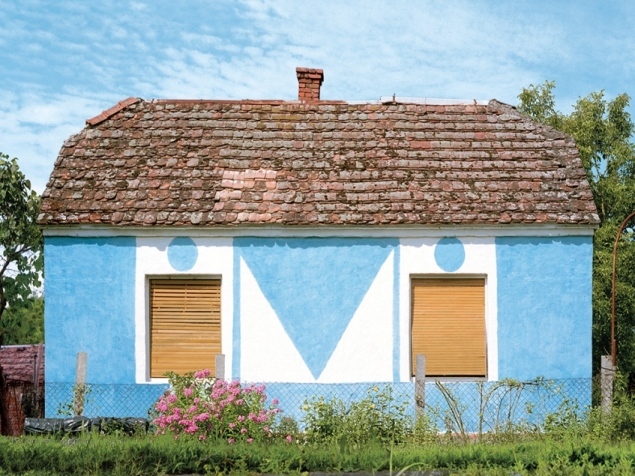 Can we still talk about a document if the reality is molded and transformed in order to carry a specific message more efficiently?